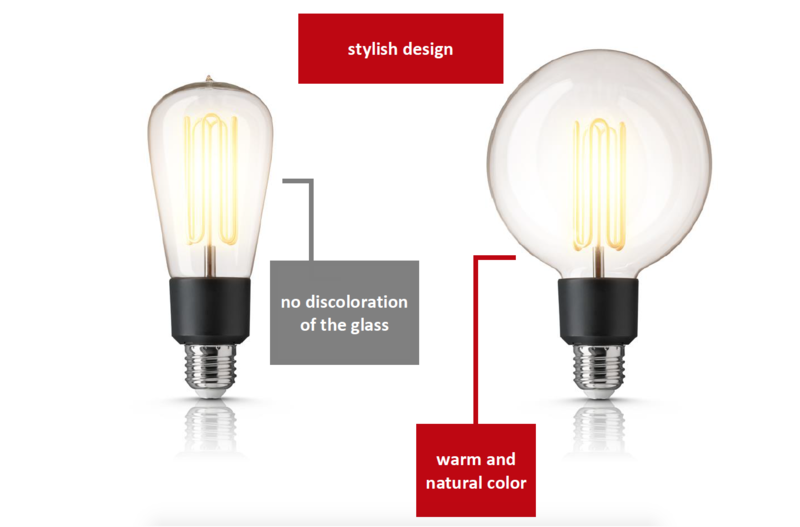 CARET light bulbs; the most beautiful light source, even when it is off! The rise of the LED filament lamp has almost put a final stop to the sales of the historical Edison lamp. Currently, the market is dominated by countless cheap alternatives and it is hard to distinguish the good from the bad ones. Price seems to be the dominating factor; less attention is paid to quality and light specifications. To be honest, the LED is not half as beautiful as the original type and on top of that, they certainly do not shine as nice as we are used to. There is an alternative light source, however, that is way out in front; the Caret light bulb by NDF. The Caret light source of NDF Special Light Products is not an LED, but a product made of reliable and high quality CCFL technology. NDF has years of experience with CCFL in the aerospace and medical industry, so we know the product and its superb performance. The Caret light bulb is a Dutch Design lamp and provides you not only with a warm atmosphere but also with a stylish ambience. Furthermore, with its low energy consumption, long lifetime, easy dimming and high switching reliability, the Caret is also a very sustainable solution. Because of its timeless design, it goes well with classical, vintage and modern design fixtures. The Caret can be applied in classical and modern fixutres and is a beautiful light bulb, where the lamp is prominently visible at all times, both on and off! Because there is no stroboscopic effect, you will enjoy a calm and peaceful light. Low energy consumption, energy class A. Our lifetime measurements have already passed 30.000 hours, offering a sustainable light solution. 2300 Kelvin resembles the warm color of a candle. High quality glass has been chosen, to guarantee that you can enjoy this beautiful lamp from beginning to end.